For a few days a year, at the beginning of February, the town of Sanremo becomes the Italian capital of music, with its famous Festival and its melodies, which are destined either to become long-lasting hits or to fall into oblivion. But for the remaining part of the year, other notes are echoing in that land, notes which speak of hard work and tradition, tasty and fruity and heroic notes. Notes which come from Podere Grecale, a wine producing company based in Bussana, on the hills around Sanremo, where quality wines are grown in the respect of the environment, through the integration of the most advanced technologies with traditional methods. In the farming methods, Serena and Lino use organic fertilizers, natural grassing and green manuring, by which they preserve fertility and biodiversity. In the fight against diseases, they rarely resort to sulphur and copper and prefer to rely on the modern findings of organic farming. Thanks to sustainable wine growing, where innovation goes hand in hand with tradition, Serena and Lino have not been dominating nature, but rather they have been operating in harmony with it, preserving its resources and receiving in exchange gifts of love, which are represented by a vast range of very diverse wines. Above all, Vermentino, for which Liguria is historically suited and which is here produced in four varieties: the classical Vermentino DOC Riviera Ligure di Ponente; Maèn Vermentino Superiore, coming from the vineyard closest to the sea, which gives it its mature richness and fragrances; Passito di Vermentino, which grows directly on the plant from the wilting of the best bunches; spumante Frizantin, refermented in bottles, the result of an experiment of old and modern methods. But let’s not forget Pigato DOC, coming from the inland areas; Beusi Granaccia Superiore, produced via the maximum ripening of grapes with an excellent exposure to the sun; and finally Moscatello di Taggia, ancient replica of Moscato Bianco, produced in few bottles, following a tradition which dates back to 1400. The success in Switzerland seems to have paved the way for Maèn – even if it is strange to say so, when we are talking of something which originates from such a steep territory – as Serena confirms. “The prize in Lugano was the first official acknowledgement for Maèn and it will always have a special place in my memories. 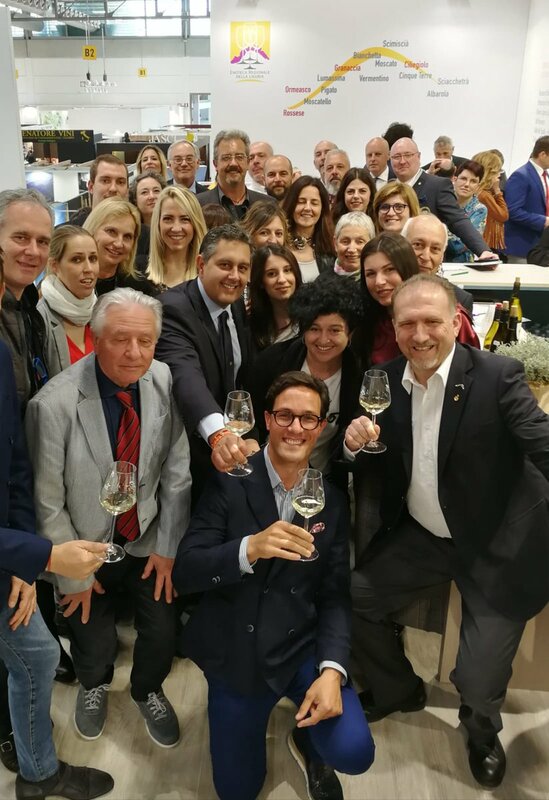 After that prize, there have been others, such as the 4 Viti in AIS’ guide Vitae.” After that competition, Serena has been getting to know better the Swiss market and has made several positive remarks about it, starting from the great knowledge of Italian wines and foods. “In Lugano there are mostly Italians and there are excellent places where to eat and drink high quality products”, she explains. “It is a very interesting market which looks also for specific wines”. It is not a mystery that Swiss people appreciate heroic wines, since they also produce them, with the aggravating factor that Swiss wine growing is not only extreme, but must also come to terms with very cold temperatures. These are difficulties which Liguria, with its mild breezes and hot sun, does not face.